Gymnastics is a great activity for kids of all ages and abilities. In addition to amazing upper and lower body strength, gymnastics also helps kids develop balance, co-ordination, flexibility, and self-confidence. Not to mention, the gym is a great place to have a ton of fun. If you are thinking about getting your son or daughter into gymnastics, you need to do a bit of research first. 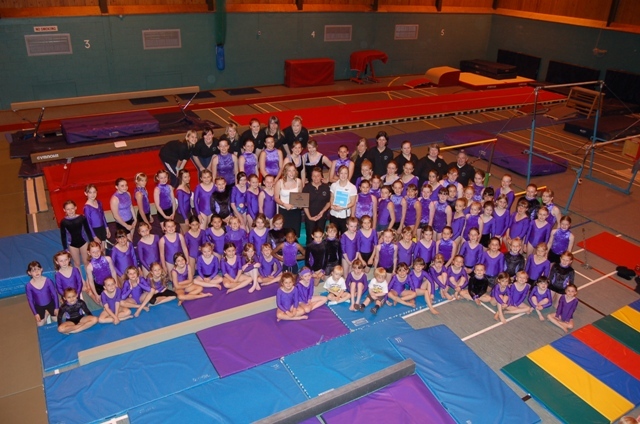 Things to consider when choosing a gym, especially for young gymnasts, is whether the activity is right for your child? For the best experience possible, you need to find the right gym/club for a gymnast of any age. Finding the right gym for your child depends a great deal on their age. If you have a young child, around 18 months, you should search for a gym with a “Mommy and Me” class. Mommy and Me classes allow parents to accompany their child around the gym and help during activities. Parents of toddlers, ages three to four, will want to enroll their son or daughter in a gym that offers beginner gymnastics classes. As your child progresses, gymnastics classes will be less about how old your son/daughter is, and what their ability is. After you have found a well-staffed, clean, well-lit gym/club for your young gymnast, you are probably ready to sign your child up. But, before you do that, there are a few more concerns you should consider. Does the gym offer recreational and competitive classes? Will the gym close for inclement weather? Is anyone in the gym first aid/CPR trained? When you are checking out a gym’s equipment from the viewing area, it probably looks fine, especially, if you don’t know much about gymnastics equipment. To better evaluate a gym’s equipment, look for the following types of equipment. In the viewing area, there will always be tons of parents. Depending on the amount and type of classes going on at the time will influence who you get to meet in the visiting area. The one great thing about gymnastics parents is that they usually LOVE to talk about gymnastics and their home gym. Some may have even been to other gyms in the area, which can help you get a good feel for what is available near you. When talking to gymnastics parents, feel free to ask about the staff. For example, is the gym owner (manager) in it for the love of gymnastics, or just the money? How reliable are the coaches and staff? Are there any safety issues with the area the gym is in, or the building itself? Parents of other gymnasts are usually a wealth of information, and the more you befriend, the greater sense of the gym you will get. After visiting local gyms, speaking with the staff, and witnessing the interactions in the gym, you are probably ready to choose a gym for your child. It’s a fact of life that parents don’t always make the perfect decision the first time, every time. But if you have done your research, based on the tips, above, you can feel confident that you have made a good choice. If it turns out the gym isn’t a perfect fit for your gymnast; you can always change gyms in the future. I really like that you mentioned talking to other parents because many of them have already tried out different gyms and have found a good fit for their child. My daughter wants to start doing gymnastics, so I’m trying to find somewhere for her to go. Thanks for the information-I’ll be sure to look around and reach out to some parents that I know have kids in gymnastics.